May 9 – Paul Froman, who services change machines at Main Street Quick Lube, 211 W. Main St., Williamston reported the back of a change machine was cut out and money was missing. Damage to the machine was estimated at $1400 and missing money estimated at $1500. R. Drennon investigated. May 11 – Evan Lee Cabaniss, 30, 135 Kensett Dr., Williamston was arrested for discharging a firearm in town after officers were dispatched to 3065 Hardy Street in reference to shots being fired. According to reports, a black 9mm Taurus handgun was found with Cabaniss, along with eight spent rounds found near the back porch of the residence. Cabaniss was arrested and transported to ACDC. Z. T. Parks investigated. May 12 – Susan Jonine Nolon, 42, 1612 Oakhill Rd, Havelock, NC was arrested for disorderly conduct after officers responded to West Main St/ Rogers St. in reference to a suspicious person. According to reports, upon being questioned, Nolon became confrontational and started yelling and cursing at officers and would not calm down. She was arrested and transported to ACDC without further incident. R. Drennon investigated. 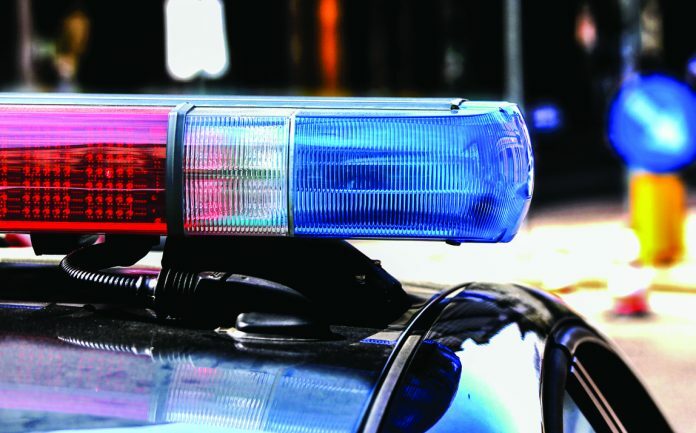 May 12 – Family Dollar, 1505 Anderson Drive, Williamston reported a shoplifting incident in which a white female had taken tags from two pair of shoes and left the store with the shoes. The store was unable to obtain video evidence. The shoes were valued at $12. R. Maxwell investigated. May 12 – Samantha Ann Blanchette, 28, 118 Martin Ct., Williamston was placed on trespass notice for Family Dollar, 1505 Anderson Drive. R. Maxwell investigated. May 13 – Sav-Way, 309 E. Main St., Williamston reported a shoplifting incident in which a amn came into the store, selected an Ice House beer, concealed it under his clothing and exited the store without paying. The beer was valued at $1. L. Buell investigated. May 13 – Phillip Marshall Hughey, 29, 2 W 4th St., Williamston was arrested for disturbing the peace after coming off of his porch and yelling at officers who were performing a traffic stop on W. 4th St. According to reports he was told several times to step away from the traffic stop, yet continued to yell at the officer. He was arrested when he came around the car and approached the officer. Hughey was arrested and transported to ACDC. Kelly McCormick, the driver of the white Hyundai was issued a UTT for driving without a license. R. Drennon investigated. May 14 – Phillip Marshall Hughey, 29, 2 W 4th St., reported a burglary in which a famale was found in his house and $25 in cash was missing from the center armrest of the sofa. The female ran away when confronted prior to officers arrival. F. Eugene investigated. May 14 – Angel Olivares Castro, 24, 2302 Welisha #4, Edinburg, Tx., was issued a summons for speeding and operating an uninsured vehicle after he was observed driving a vehicle at 47 mph in a 35 mph zone on N. Hamilton St. L. Buell investigated. May 15 – Staneice Latisha Hunter, 30, 132 Holloway Blvd., Belton was arrested for open container in a vehicle and driving under suspension after a vehcile was observed traveling 52 mph in a 35 mph zone on Greenville Dr. An open can of Ice House beer was found in the cup holder. A passenger in the vehicle named McCutheon, no additional information provided, was arrested for open container. R. Maxwell, L. Buell investigated. May 15 – John David Outlaw, 44, 14 Spring St., West Pelzer was arrested for possession of drug paraphernalia and domestic violence after officers were dispatched to 108 L Street Lot B in reference to an assault. According to reports, Outlaw was attempting to take some jewelry from a jewelry box and became upset and punched a female at the residence in the face when she attempted to stop him. The incident was presented to a judge and a warrant was issued. Sgt. L. E. Mulz investigated.